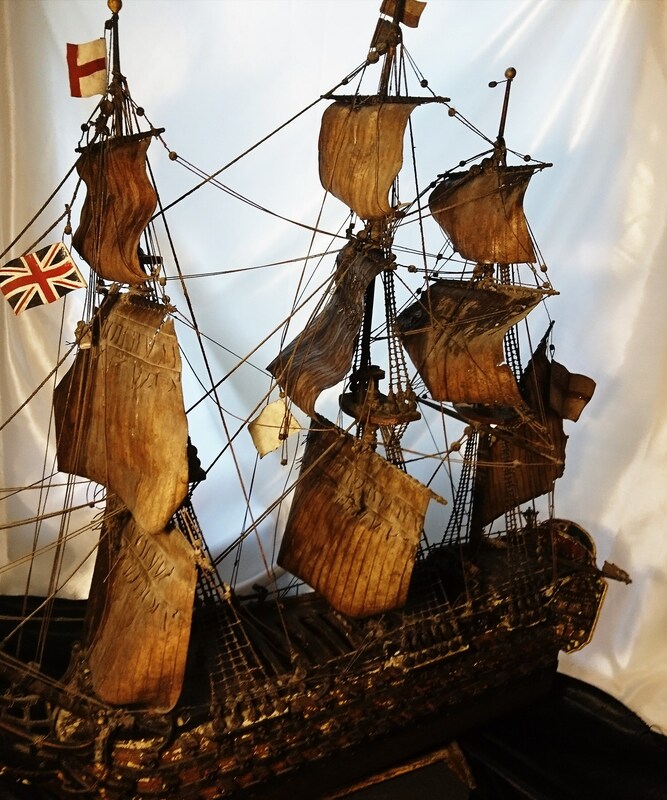 This antique model ship is nothing short of extraordinary, built in the 19th century it is a model of a British navy warship. 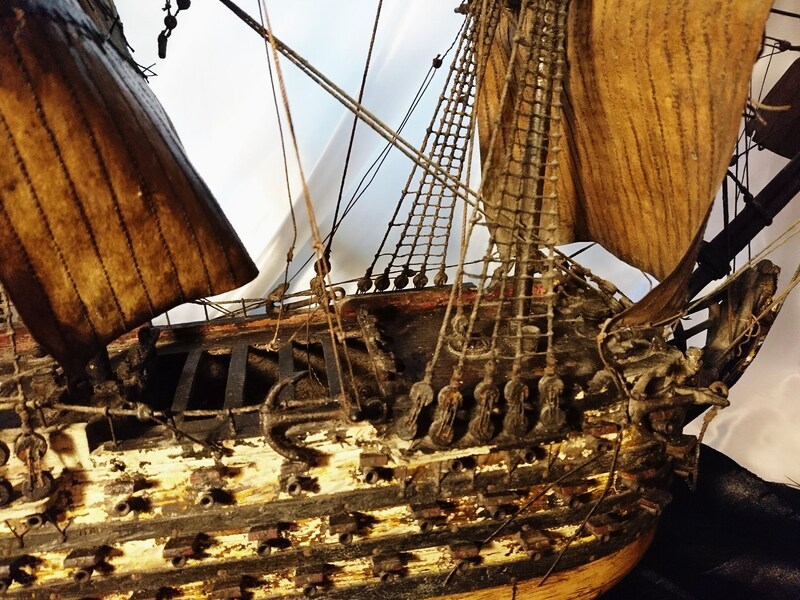 We have been unable to get a name on the beauty and it bears a resemblance to HMS Victory though we cannot be sure. 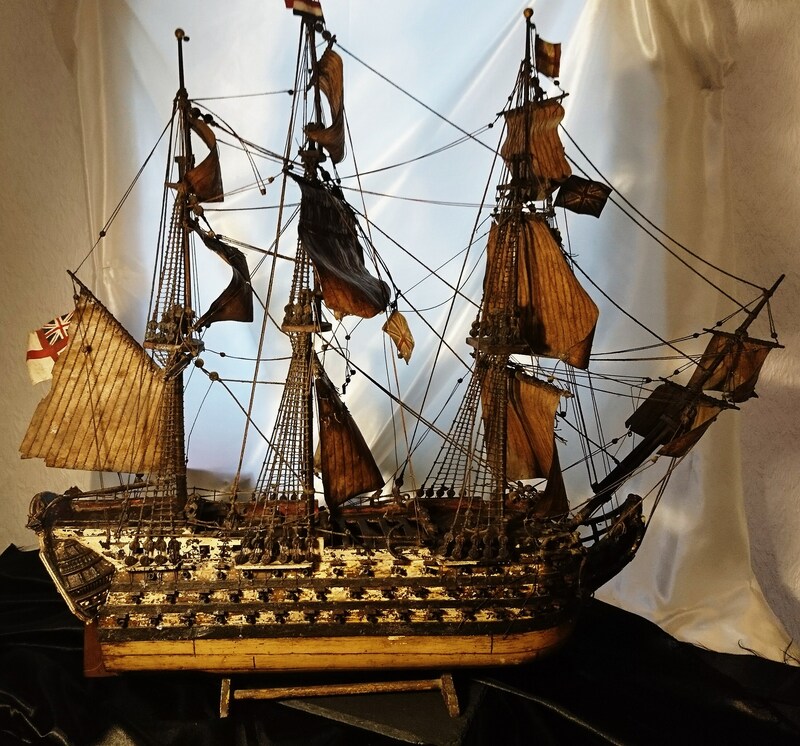 It is either a late 17th or early 18th century ship but most certainly styled on the naval ships involved in the Anglo-Dutch wars also known as the 7 years war. 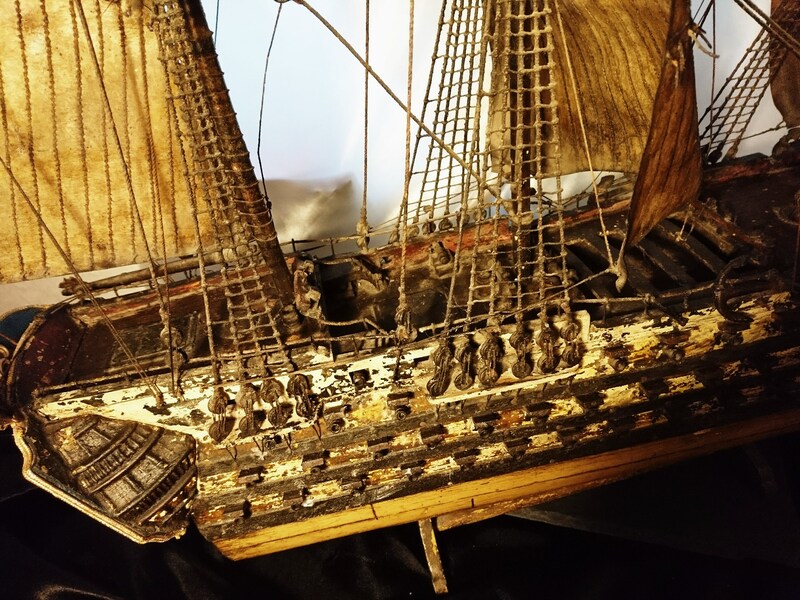 We count 98 guns so far so it is likely to have been a first rate British navy ship, there could well be another two hiding away somewhere as the detailing on this piece is phenomenal and each time you look, you find something new. 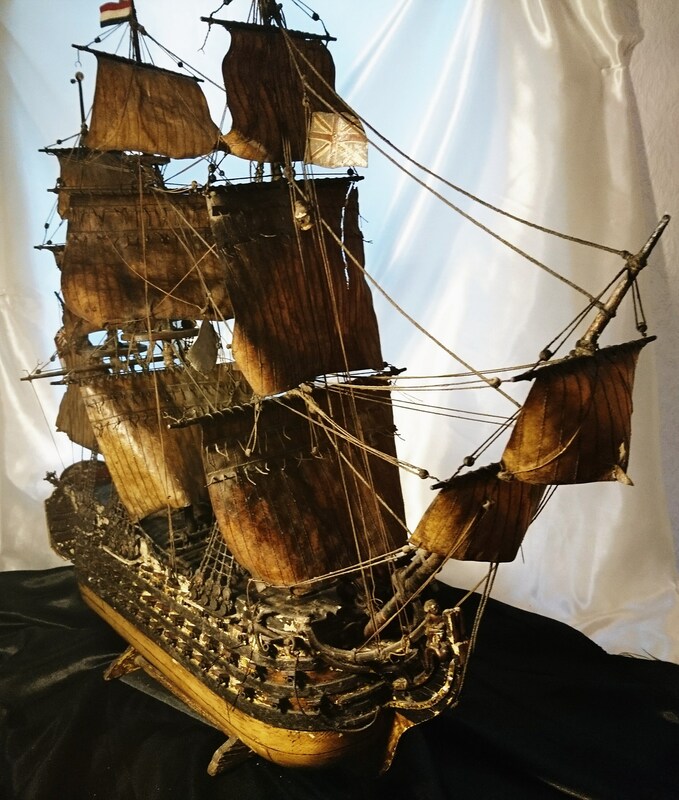 The masts are made from pigskin hide, the ropes and lines are rope and metal, it has metal lamps and anchors, the body is made from wood with old iron nails in place. 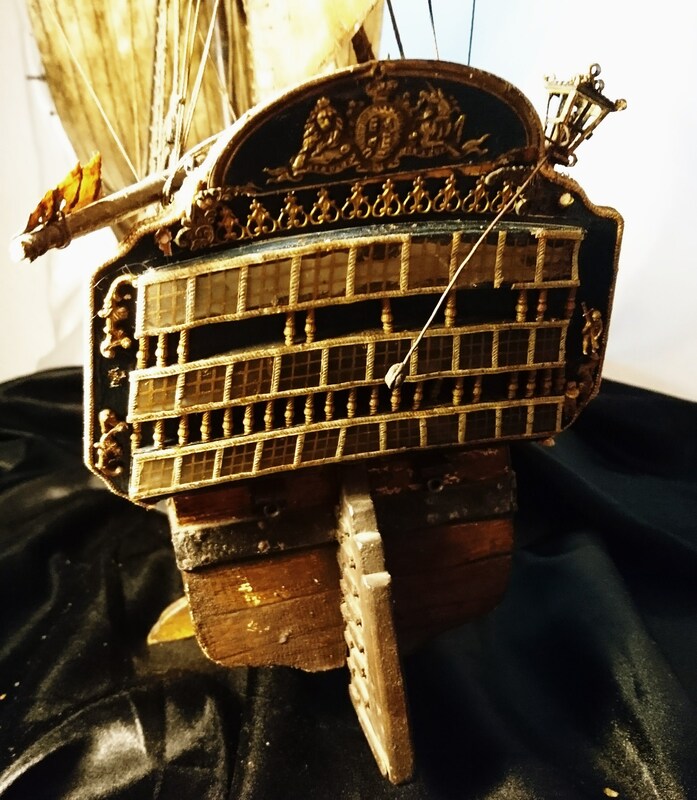 It comes with a period wooden stand, painted with a gilt edging. 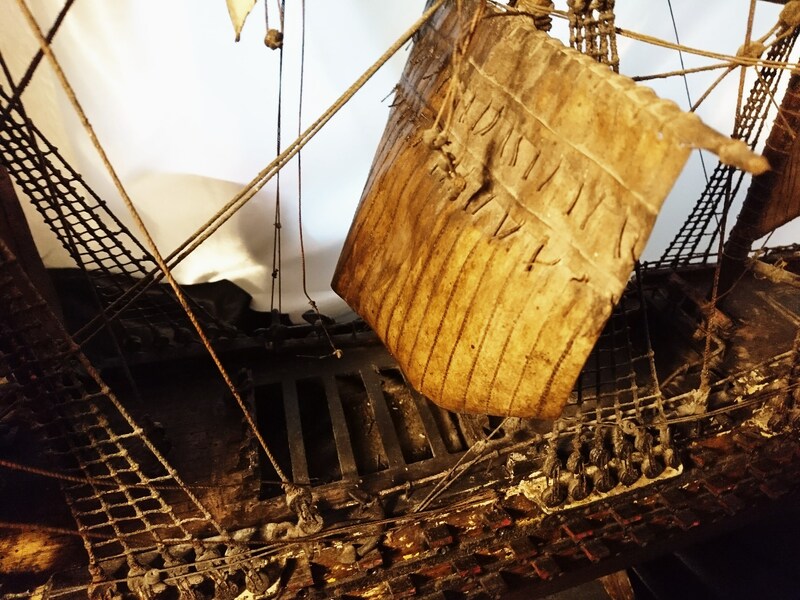 There are some small areas of damage and some ropes need reattaching, it has sign of very old woodworm on the top decking but this is long gone. 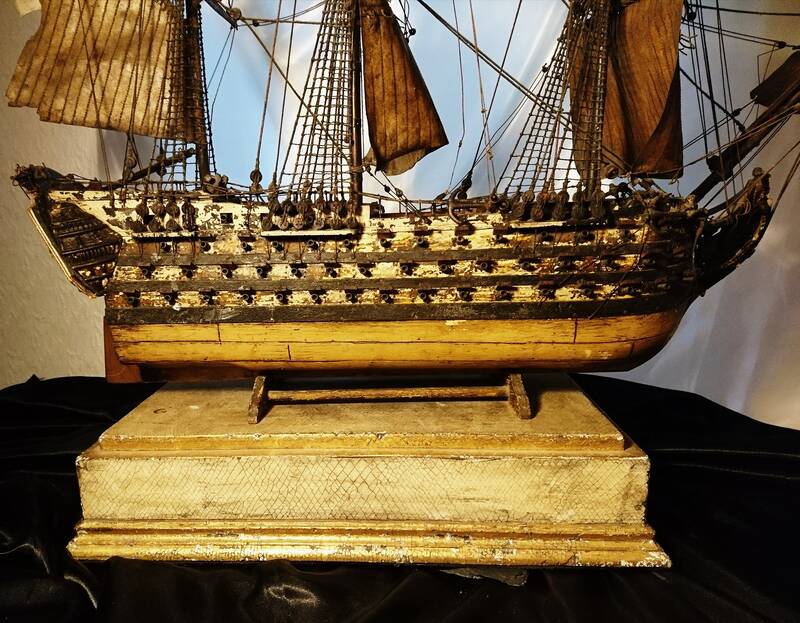 The previous owner had started some renovation work particularly on the stern, they have added some windows and crests, the armorial crest of the British Navy, various flags etc. They added a name for the ship which is Arras after the French Town where part of the Anglo-dutch wars were waged, however this could be removed and personal renovation could be added. 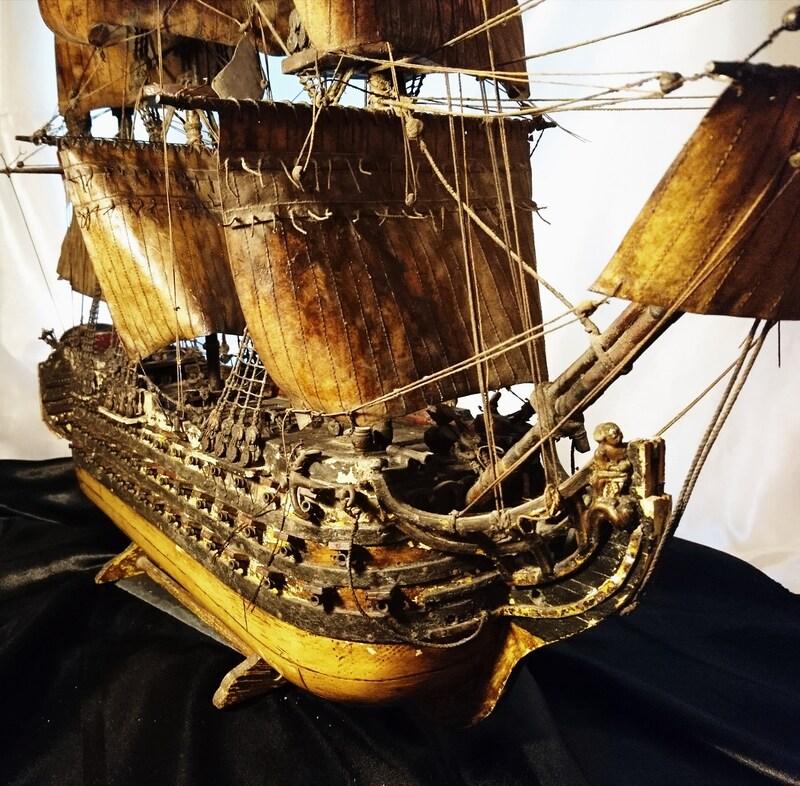 It is an incredible and magnificent piece and in my opinion it is perfect how it is but the possibility of restoring the ship is down to personal preference. 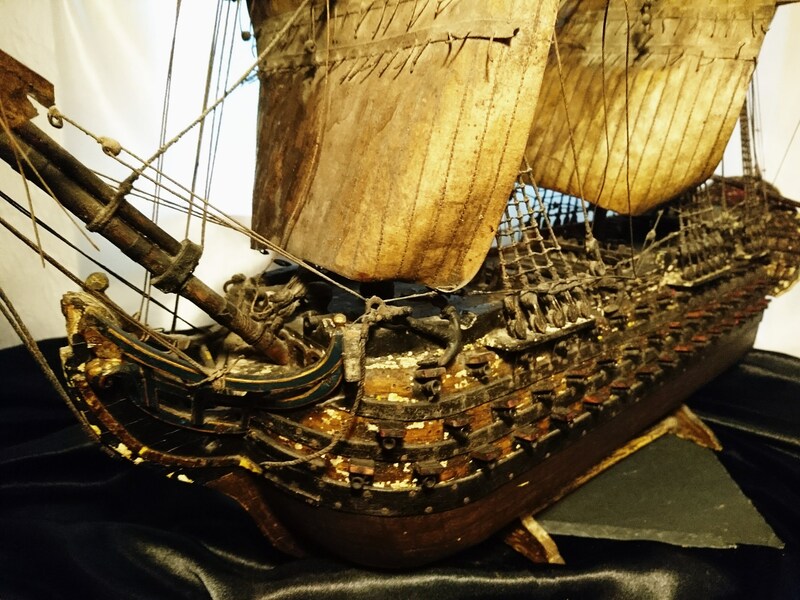 It was suggested that the boat may have been a admiralty model with pieces added throughout its lifetime and built upon in the 19th century as a decorative model but of this we cannot be sure, the boat has had later restorative work but it is overall c1870. It will arrive in a larger parcel.